As mentioned earlier, much too much significance is often attributed to sailing tactics. 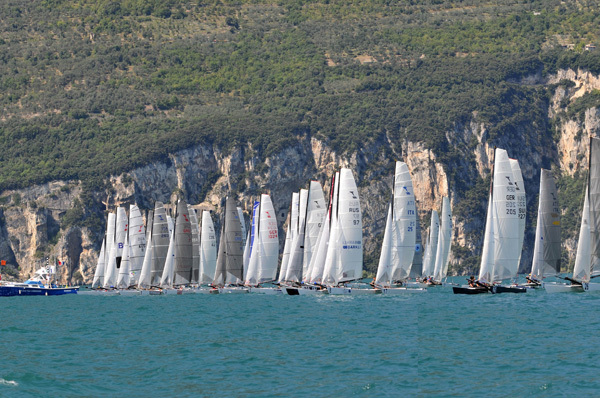 Sailing tactics only become the most important factor in the game if you take this sport to a very high level. For everyone else, its better to invest the training time available on sailing technique and boat tuning. On the other hand, you can't manage without tactics altogether, so we've written down a couple of ground rules. If you follow them, you'll be 80% better than the competition, unless you are sailing at World Cup level. If that's the case you don't need to read any further here. In order to keep these rules as short and compact as possible, we have, in some cases, not explained why something should be done a certain way. But just do it, and you will see that your results will improve. If you want to know more detail, simple take a look at the other pages on our site. How often does it happen that someone doesnt know the course, sails to the wrong mark, or doesnt know what the penalty would be? The Notice of Race and the sailing instructions should be read really carefully, even if the contents are usually the same 90% of the time. The 10% which are different are what is important. It can be decisive to know whether you are allowed to sail outside the gate on the last downwind leg, or whether you must pass the gate. The extra pieces of official information on blackboards are also important, because almost everything that we read beforehand can be changed again by the race organisers. Remember too that everything that is said at a Skippers' meeting does not count anything during a hearing, although it can be important informal information, only information that is in writing counts. 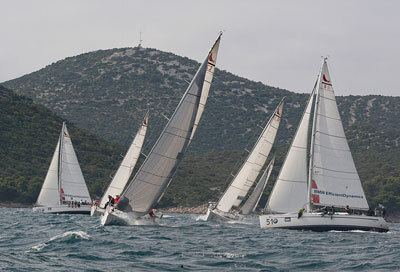 Insist therefore that statements by the race organisers at a Skippers' meeting, which don't correspond to the written documentation are displayed in writing. As already mentioned in the introduction you don't have to know the rule book and its individual paragraphs off by heart, like some umpires, but you should be half way au fait with the ground rules, particularly in Part 2 of the Rules of Racing. If the opponents notice that you aren't sure of the rules they will cold-bloodedly make the most of it, you'll lose your right of way and your opponent will throw certain rules and paragraphs at you that you don't know, which maybe don't even exist or haven't applied for 10 years or so. So, if you need a little brush up on the rules you will find the most important ones here. Wie schon in der Einleitung erwähnt, muss man zwar das Regelbuch nicht auswendig aufsagen können, wie so mancher Schiedsrichter, man muss auch nicht unbedingt die einzelnen Paragraphen auswendig können, aber man sollte in den Grundregeln, speziell im Teil 2 der Wettfahrtregeln halbwegs sicher sein. 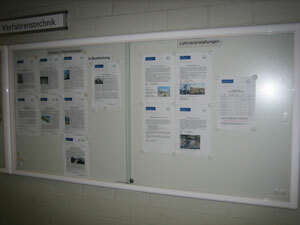 Wenn die Gegner merken, dass du bei den Regeln unsicher bist, wird das kaltblütig ausgenutzt, dir wird die Vorfahrt genommen, aber dein Konkurrent schmeißt dir irgendwelche Paragraphen und Regeln an den Kopf, die du nicht kennst, die vielleicht gar nicht existieren, oder seit zehn Jahren nicht mehr gelten. Falls du eine kleine Regelauffrischung brauchst findest du hier das Wichtigste aus den Wettfahrtregeln. You have maybe noticed that cool top sailors are the last to sail out in the Club Regatta, and still win the race – they are your role models! Why should you be one of the first to leave the harbour if your role model is still drinking a beer at the bar? You can be certain that the only reason they are so cool is because they are sure they can still win the Club Regatta, or because they really don't care about the result. If it did matter to them, you can rest assured they would be one of the first boats out on the course. Why is it important to get out on the course in good time? 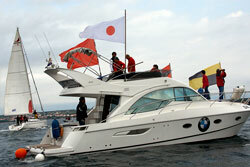 There are many reasons; the boat be adjusted to suite the weather conditions. You must get used to the water, the wind and the waves. The first wave that hits you gets you over the shock of the coldness, the second one doesn't feel so bad but by the third one, you hardly notice the cold water any more. Watch the wind; is it getting increasingly stronger or is it dropping? Is it blowing constantly in one direction or oscillating back and forth? These pieces of information are out on the course, you just have to be there to pick up on them. Then it won't just be a coincidence if you are on the correct side, but the result of your planning. This and the following ground rules are all about the start. Maybe you wonder why I devote so much attention to the start; it only takes a maximum of 10 minutes and the race lasts 1 ½ hours. Yes, sure, but if you start badly, you have almost no chance of achieving a leading position. With an extreme effort and concentration you might make it to the middle field, all because you made a mistake in the first 10 minutes, or didn't concentrate. Normally one of the two ends is favored. In such cases, there's only one optimum place – the one directly next to the boat or the one next to the pin end. Do you really think that you will capture this optimum starting place? No, that will usually be reserved for a risk-taking top sailor. We are not (yet) top sailors and want to keep risks to a minimum, so our plan is that we start on the correct side of the starting line, but a few boat lengths away from the end of it. There we have a good chance to cross the starting line with free air and a good speed, shortly after the starting signal and that is exactly that was our aim. That must sound at first like a contradiction of the last rule, but you will soon understand what I mean. One of the most important criteria is to have free wind after the starting gun and to travel at maximum speed. If there are 'stars' around you, do you really think that you will have free wind for long? Pretty soon you will start to feel the bad air of the cracks, and if you can't get out you will lose meter after meter. It will be even worse if one of the stars chooses you as a 'victim' and deliberately starts next to you in order to be sure of getting free quickly at the start, and to be able to carry out his strategy on the start cross. In this case the only thing left for you to do is to take flight as quickly as possible. You can't have a good start from the second line; that's why there are so many false starts in a high level field/ race. For a beginner it is very difficult to calculate the distance to the line. That's why its better for you to orientate yourself to the boats immediately near you in the last minute before the start. A quick look at the starting boat and at the Pin End also helps. If it is possible for you to see both ends of the starting line clearly, you can start to plan an early start strategy. If however, the ends of the line are well hidden by the others, just be brave and move forward a little. But in the last seconds before the start you should still be in your place on the line in order to accelerate. There's no use crossing the line first if at the starting gun you are still busy curbing your 'racehorse' in order not to cross the line too early. OK, now we have had a half-way solid start, started in the first row and have crossed the line with speed. Now the most important thing is to have free wind. If we are obstructed by other boats, we have to get away from the obstruction as quickly as possible. Every meter that we sail in the downwind of another boat makes it harder to achieve our most important goal at the start – to reach free wind. After the start there are two important tasks; to sail the boat as optimally as pssible and secondly to watch the immediate area around us. If the Helmsman watches the immediate area, he will be distracted from his most important task – keeping the boat at maximum speed. Sailing briefly too strongly into a wave can make the difference between free sailing and the disturbed wind of a competitor. 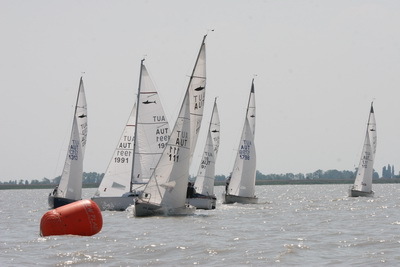 To be able to concentrate completely on the boat's speed, it makes sense for another crew member to be given the job of keeping an eye on a competitor. Speed and height are even -> I'll keep going as I am. The leeward boat is slower and higher up but its OK → I'll keep going as I am. The windward boat is moving towards us, deeper and faster → I will also try to sail a bit deeper and faster to stop the windward boat overtaking us. Of course it can also happen that the start doesnt succeed well, several boats are in front of us and we don't have any free wind. In this case we shouldnt just accept our fate, but must be active and think through all the alternatives as quickly as possible, and not hesitate to carry out what appears to be the best solution. How do things look to windward of us? Have we got the freedom to tack, can we sail freely to the right, where would we perhaps have to sail behind (someone?) Or, is it better to break through to leeward and find free wind that way? There are possibilities to come back from a disaster. However, the original strategy for the start should not be forgotten during the recovery plan. If we actually wanted to sail more to the right for the start crossing its perhaps not very wise to invest several meters in a break to leeward, only to have to tack later and only then be able to sail on the right hand side. Einen guten Start aus der zweiten Linie gibt es nicht. Deshalb gibt es auch so viele Frühstarts bei einem hochkarätigen Feld. Für einen Anfänger ist es sehr schwer die Entfernung zur Linie einzuschätzen. Deshalb ist es besser du orientierst dich in der letzten Minute vor dem Start an den Booten in deiner unmittelbaren Umgebung. Zusätzlich ist ein Blick zum Startschiff und zum Pin End hilfreich. Wenn deine Sicht auf die beiden Startlinienenden unbehindert möglich ist, kannst du dir schon eine Frühstartstrategie überlegen. Wenn aber die Enden gut von anderen abgedeckt sind, sei ruhig mutig und fahre ein wenig vor. Aber die letzten Sekunden vor dem Start solltest du noch Platz zur Linie haben, um zu beschleunigen. Es hilft nichts als erster die Linie zu kreuzen, aber beim Startschuss noch immer damit beschäftigt zu sein dein Rennpferd zu zügeln und daran zu hindern die Linie zu früh zu kreuzen. Ok jetzt haben wir einen halbwegs soliden Start hingelegt, sind in der ersten Reihe gestartet und haben mit Speed die Linie gekreuzt. Jetzt ist das Wichtigste im freien Wind zu bleiben, Werden wir von anderen Booten behindert, müssen wir so schnell wie möglich aus dieser Behinderung kommen. Jeder Meter, den wir im Abwind eines anderen Bootes weitersegeln, macht es schwerer unser vordringlichstes Ziel auf der Startkreuz - freien Wind - zu erreichen. Nach dem Start gibt es zwei wichtige Aufgaben: Das Boot möglichst optimal zu segeln und zweitens die unmittelbare Umgebung zu beobachten. Wenn der Steuermann die unmittelbare Umgebung beobachtet, wird er von seiner vordringlichsten Aufgabe das Boot auf maximalen Speed zu halten abgelenkt, Einmal kurz zu stark in eine Welle gefahren, kann schon den Unterschied zwischen frei segeln und gestörten Wind eines Gegners bedeuten. Um sich ganz auf die Bootsgeschwindigkeit konzentrieren zu können, ist es sinnvoll ein anderes Crewmitglied für die Beobachtung der Gegner einzuteilen. Auf diese Informationen musst du reagieren. Beispiele: Speed und Höhe gleich -> ich fahre so weiter, das Leeboot langsamer und höher, geht sich aber aus -> ich fahre so weiter, das Luvboot tiefer und schneller fährt auf uns - > ich werde versuchen auch etwas tiefer und schneller zu segeln um zu verhindern, dass das Luvboot uns überläuft. Natürlich kann es auch passieren, dass der Start nicht optimal gelingt und einige Boote vor uns sind und wir keinen freien Wind haben. In diesem Fall dürfen wir uns nicht unserem Schicksal hingeben, sondern müssen aktiv sein und so schnell als möglich alle Alternativen durchdenken und dann nicht zögern die vermeintlich beste Lösung sofort durchzuziehen. Wie schaut es in Luv von uns aus? Haben wir Wendefreiheit, können wir frei nach rechts segeln, wo müssen wir vermutlich hinten vorbei fahren. Oder ist es besser in Lee durchzubrechen und so wieder freien Wind zu bekommen. Es gibt Möglichkeiten aus dem Desaster wieder zurück zu kommen. Allerdings sollte bei dem Recovery Plan die ursprüngliche Strategie für die Startkreuz nicht aus den Augen verloren werden. Wenn wir eigentlich die Startkreuz eher auf der rechten Seite segeln wollten, ist es vielleicht nicht sehr sinnvoll etliche Meter für einen Leedurchbruch zu investieren nur um dann später zu wenden und erst wieder auf die rechte Seite zu segeln. Of course you should have a plan as to how you will sail the first cross, but if the wind is hard to judge clearly, the plan can be simply to follow the basic rule of sailing with the wind that brings us closer to the windward mark. If the windward mark actually lies against the wind that means that with oscillating winds you will automatically need to sail (im Lift?) Whether you understand this sentence or not, stick to this basic rule if nothing else occurs to you. This rule only applies until you are near the layline; then Rule 12 will apply. This rule doesnt only apply on the cross(ing) but also downwind, though when downwind it is more important to stay in an area with strong wind. So, observe the waves and the boats behind you and sail to where the wind is stronger. Only when you are in the area with the best wind should you make the move/sail in the direction that will bring you nearer to the buoy. Natürlich sollte man einen Plan haben, wie man die erste Kreuz segelt. Aber wenn der Wind nicht klar einzuschätzen ist, kann der Plan auch aus der Grundregel bestehen immer den Schlag zu segeln, der uns näher zur Luvtonne bringt. Falls die Luvtonne tatsächlich gegen den Wind liegt, bedeutet das automatisch bei oszillierenden Winden immer im Lift zu segeln. Aber egal, ob du diesen Satz jetzt verstehst oder nicht, wenn dir nichts Besseres einfällt, halte dich an diese Grundregel. Diese Grundregel gilt aber nur solange bis du in die Nähe der Layline kommst. Dann gilt Grundregel 12. Diese Grundregel gilt nicht nur auf der Kreuz, sondern auch Vorwind, wobei am Vorwind ist es wichtiger in Zonen starken Windes zu bleiben. Also beobachte das Wellenbild und die Boote hinter dir und fahre dorthin, wo der Wind stärker ist. Erst wenn du in der Zone mit dem besten Wind bist, segle den Schlag, der dich näher zur Boja bringt. With every push you make in the direction of the windward mark, boats will pass you, either in front of your nose or behind your rear. Watch the others. Before you come to a group of boats that want to pass in front of you, turn out and to leeward of them. Be careful that you do it early enough that you dont end up downwind of several boats. Why should you do this? It is likely that the boats that wanted to pass before you, purposely wanted to do this so probably they are sailing higher on the wind than the average wind direction would allow. Therefore, they probably find themselves on a 'Lift'. On the other hand, if they werent interested in passing in front of you they could have turned to leeward of you. If almost all the boats are sailing in the same direction and even take into consideration the downwinds from the others, the boat with the number 51 on its bow should have a good plan in order to know why it doesnt want to turn to leeward of the others. Bei jedem Schlag den du Richtung Luvbahnmarke machst, werden dich Boote passieren. Entweder vor deinem Bug, oder hinter deinem Heck. Beobachte die Anderen. Bevor du zu einer Gruppe von Booten kommst, die vor deinem Bug passieren will, wende voraus und in Lee von diesen Booten. Achte aber darauf dass du das so rechtzeitig tust, dass du nicht im Abwind eines oder mehrerer Boote bist. Warum sollst du das machen? Es ist anzunehmen, dass die Boote, die vor deinem Bug passieren wollten, genau diesen Schlag fahren wollten, also wahrscheinlich segeln sie gerade höher am Wind als die durchschnittliche Windrichtung erlauben würde. Sie befinden sich demnach voraussichtlich auf einem "Lift". Andererseits hätten sie kein Interesse bei deinem Bug vorbeizufahren und hätten ihrerseits in Lee von dir gewendet. Wenn nahezu alle Boote in die gleiche Richtung fahren und sogar die Abwinde der Anderen in Kauf nehmen sollte das Boot mit Bugnummer 51 schon einen guten Plan haben, um zu wissen warum es nicht in Lee der anderen wendet. An old Casino rule states that almost every Casino guest will be winning sometime during the evening. Luckily for the Casino, most people play on and lose their winnings again. Many sailors also make this mistake. Supposing you find yourself to leeward and in front of a group of boats. Everyone is sailing with the wind from the left and all lie equally in the wind. If the wind turns now to the right, the experts say you are getting a Header and all boats must bear away. This improves your situation in relation to the other boats. However, if the wind changes back again you will be level with the others. Many sailors now behave like an average player and hope that their luck holds, and that the wind will turn back again. However, what usually happens is that the wind turns back and you lose your advantage. So, Rule 10 is collect your winnings before its too late. It will be too late if the wind turns back or all the boats who were above you have turned already to make use of the new wind direction. This rule is particularly important after the start, in order to secure your position. Every small advantage over your opponent counts here. Eine alte Casinoregel besagt, dass nahezu jeder Casinobesucher im Laufe des Abends irgendwann im Plus ist. Zum Glück für das Casino spielen die meisten weiter und verlieren ihre Gewinne wieder. Diesen Fehler machen auch viele Segler. Angenommen Sie befinden sich in Lee voraus einer Gruppe von Booten. Alle segeln mit Wind von links und liegen bezogen auf den Wind gleichauf. Dreht der Wind nun nach rechts. Die Spezialisten sagen du bekommst einen Header, müssen alle Boote abfallen. dadurch verbessert sich deine Situation im Verhältnis zu den anderen Booten. Allerdings falls der Wind wieder zurückdreht bist du wieder gleichauf mit den Anderen. Viele Segler verhalten sich nun wie die durchschnittlichen Spieler und hoffen, dass die Glücksträhne weiter anhält bzw. der Wind weiter drehen wird. Meist ist es dann aber so, der Wind dreht zurück und dein Vorteil ist dahin. Daher Grundregel 10: Hole deine Gewinne ab, bevor es zu spät ist. Zu spät ist es dann, wenn der Wind wieder zurückdreht, oder auch alle Boote die über dir waren schon gewendet haben, um die neue Windrichtung auszunutzen. Diese Grundregel ist speziell nach dem Start wichtig, um deine Position zu festigen. Hier zählt jeder kleine Vorteil gegen deine Gegner. What is the Layline? The word (in German - 'Alegelinie' or mooring line) is the imaginary line of your fastest route to the next marker. Supposing the next marker is to windward, the layline is exactly the line on which you must sail your last stretch in order to reach the marker directly. The end of the line is always the buoy. The other end of the line always lies at 90 degrees to the wind direction plus half a turning angle. Because the wind direction seldom remains constant, the layline also constantly changes. Supposing you sail directly on the layline with the wind from the right to the next buoy and the wind turns to the right, you could sail over/ past the buoy – which you don't want to do. So, all you can do is to raise full sails and try to win back lost time through the diversion, by gaining speed. You will understand, that a boat that has turned below the original layline, and now reaches the marker thanks to the change in wind direction has a clear advantage. Now, assuming you find yourself in the same situation as before (wind from right, optimal on wind course direct to the marker and the wind turns to the left) you must bear away and suddenly all the boats to leeward of you are lying in a better position than before. But not only the wind direction changes the position of the layline but, as we saw earlier in the formula for the direction of the layline, also the turning angle. 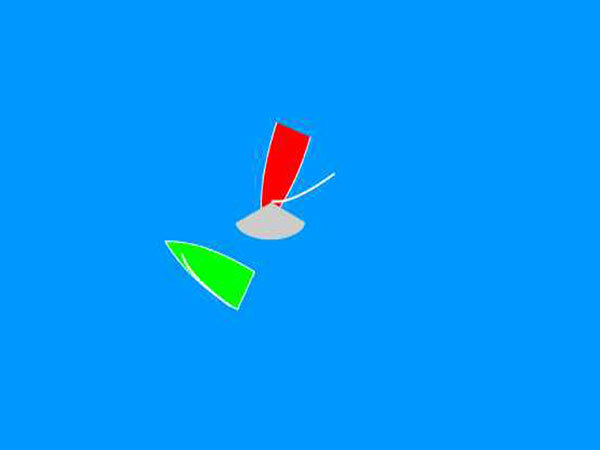 Because the turning angle for all boats changes in relation to the wind strength, this can also cause you to suddenly find yourself outside the layline and having to race with full sails to the buoy while your main opponent is on an optimal VMG (velocity made good) course. If you sail on the layline you will lose ground with every wind change against your opponents. Another disadvantage is that when you approach a buoy on the layline, you seldom have undisturbed wind, because many other boats are approaching it on the layline or a little above it. However, you must be on the layline for the approach to a buoy, but don't do it too early. 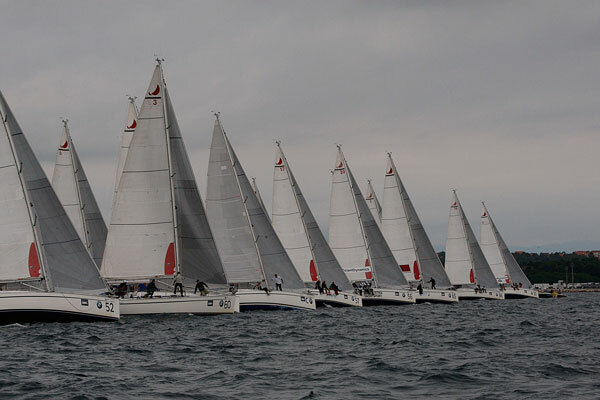 Try to predict the development and decisions of your opponents and watch the rules which apply for approaching a buoy. We are on the layline and the wind sharpens. Was versteht man unter der Layline? Die Layline zu Deutsch "Anlegelinie" ist die fiktive Linie die deinen schnellsten Kurs zur nächsten Tonne begrenzt. Angenommen die nächste Tonne befindet sich in Luv, ist die Layline genau die Linie, auf der du den letzten Schlag segeln müsstest, um direkt die Tonne zu erreichen. Es ist einsichtig, dass das eine Ende der Linie immer die Boje ist. Das andere Ende der Linie liegt jeweils in Windrichtung + 90 Grad + 1/2 Wendewinkel. Da die Windrichtung aber selten konstant bleibt verändert sich die Layline ständig. Angenommen du segelst direkt auf der Layline mit Wind von rechts zur nächsten Boje und der Wind dreht nach rechts, könntest du über die Boje segeln, wo du aber nicht hin willst. Also hast du nur die Möglichkeit die Schoten zu fieren und versuchen einen Teil deines Umwegs durch schnellere Geschwindigkeit wieder zurückzugewinnen. Du wirst verstehen, dass ein Boot, das unterhalb der ursprünglichen Layline gewendet hat, und nun durch die Winddrehung die Tonne ebenfalls erreicht klar im Vorteil ist. Jetzt angenommen du befindest dich in der gleichen Situation wie vorher (Wind von rechts, optimaler Am Wind Kurs direkt zur Tonne und der Wind dreht nach links. Musst du abfallen und alle Boote in Lee von dir liegen plötzlich in einer besseren Situation als vorher. Aber nicht nur die Windrichtung verändert die Lage der Layline, sondern wie wir vorhin in der Formel für die Richtung der Layline gesehen haben, auch der Wendewinkel. Da der Wendewinkel aller Boote sich in Abhängigkeit von der Windstärke verändert, kann auch eine Windstärkenänderung bewirken, dass du dich plötzlich außerhalb der Laylines befindest und mit offenen Schoten zur Boje musst, währen dein wichtigster Konkurrent mit optimalen VMG Kurs unterwegs ist. Segelst du auf der Layline verlierst du mit jeder Windrichtungsänderung aber auch Windstärkenänderung Boden gegen deine Gegner. Here we are talking about the downwind course. Because all modern boats are faster if they cross before the wind, most rules for a crossing also apply to the downwind course. The reason/grounds for these rules is/are actually the same as for Rule 9. Before you come to a group of boats which would cross in front or close behind you, jibe before and to windward of these boats. But take care that you do it early enough so that you don't land in the downwind. You can suppose that the boats which wanted to pass you, wanted to sail exactly this path, otherwise they would have jibed to windward of you. Either they are currently in a Header, which means they can sail deeper /lower than with the average / mean wind direction or they are sailing to a zone with stronger wind. Hier geht es um den Vorwindkurs. Da alle modernen Boote heute schneller sind, wenn sie vor dem Wind kreuzen, lassen sich die meisten Regeln der Kreuz auch auf den Vorwindkurs anwenden. Die Begründung für diese Grundregel ist eigentlich gleich, wie die bei Regel 9. Bevor du zu einer Gruppe von Booten kommst, die vor dem Bug, bzw. knapp hinter deinem Heck kreuzen würden, Halse voraus und in Luv von diesen Booten. Achte aber darauf, dass du das rechtzeitig tust, damit du nicht in den Abwind gerätst. Es ist anzunehmen, dass die Boote, die dich passieren wollten genau diesen Schlag fahren wollen, sonst hätten sie in Luv von dir gehalst. Entweder sie befinden sich gerade in einem Header, das heißt sie können tiefer segeln, als bei der durchschnittlichen Windrichtung, oder sie segeln zu einer Zone mit mehr Winddruck.